Home Innovations Unnovation: Could this be our biggest business (and marketing) danger? Unnovation: Could this be our biggest business (and marketing) danger? 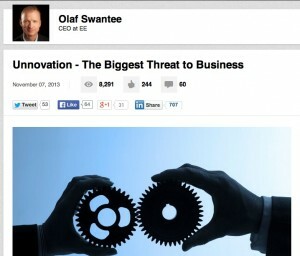 One HighIQ member posted an intriguing article from outside the group, a piece by Olaf Swantee: “Unnovation: The Biggest Threat to Business” from LinkedIn, but originally posted in the Times newspaper in the U.K.
Over the last few years, I’ve noticed a worrying trend within businesses across pretty much every industry. It all centres around the refusal to innovate … ‘unnovation’, if you will. It concerns me, and should concern them too. Ultimately, it could lead to disastrous consequences for their businesses, their staff and their future. 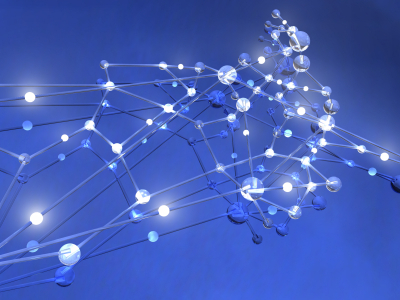 While many businesses are now waking up to the avalanche of connectivity that is heading their way – an avalanche that’s matched by the expectation of customers, colleagues and the competition alike – many others are moving forward with strategies that simply aren’t fit for purpose in the connected world. And recent history tells us that it’s going to end badly for them. Endemic unnovation has led to the demise of some fantastic companies and brands over the last few years, and the holes on the UK high-street are all too clear to see. Once household names have vanished or had their rock solid leadership eroded. Why? Because they unnovated. They stayed still, acknowledging the changing world around them, but refusing to act. Yell was disrupted by Google; Borders by Amazon; Blockbuster Video – and now even our traditional TV channels – by Netflix … the list goes on. Swantee suggests that “connectivity, mobility and accessibility is going to change everything” in the years ahead, and that consumers are getting ahead of business in the adoption of new technologies and techniques. Indeed, disruption and changes in technology may leave many of us behind, and we need to be careful to retain an innovative world view. But we are fortunate in the nature of our industry in that the ultimate product is physical, tangible, and built with human hands (if sometimes these hands control various forms of electronic and analog machinery). And we don’t need to be as fast off the mark as some other industries in our marketing and business practices. However, when we fail to respond and create and adapt to new technologies and experiences, maybe, indeed, we are falling into the unnovation trap.